Many point to Dziga Vertov, Richard Leacock, and Bill Nichols as the fathers of modern, documentarian cinéma vérité. These non-fiction filmmakers championed the ideal of fly-on-the-wall documentaries, creating a philosophical aesthetic that served to capture its subject in the most truthful and unadulterated manner possible. But one man that is not properly honored is the journalist who envisioned this amalgamation of journalism and filmmaking: Robert Drew. Along with his associates, Drew explains in an archive video interview that he imagined a new style of documentary, one that did not rely on the archaic school lecture system, wherein an individual monotonously speaks and points to a visual aid, as Nixon so aptly did years later in his yawn-inducing national addresses. Drew’s new form of documentary was thus a response to the so-called documentaries that were being produced at the time: boring, long, and unoriginal. And so Drew, along with fellow filmmakers D.A. Pennebaker and Albert Maysles, set out to capture the news as it had never been done before: with style, grace, and most importantly, a plot and characters. Indiewire sat in on a discussion at the Metrograph between Criterion president Peter Becker, legendary documentary filmmaker Pennebaker, Robert Drew’s daughter-in-law and Drew Associates’s general manager Jill Drew, and journalist Frank Rich to talk about documentary’s responsibility to balance truth and storytelling, and what journalism has turned into in an internet age. Albert Maysles’s camerawork in “Primary” is not only breathtaking, its inspirational values can be seen today. From “Son of Saul” to Gus Van Sant’s “Elephant,” Maysles’s wide-angle, third-person tracking shot of JFK can be seen in multiple fictional films today. To capture such a beautiful shot of an iconic figure in a non-fictionalized manner is hard to fathom. Maysles’ boldness as he follows the future president making his way through a crowd, smiling and shaking hands before climbing a cramped staircase to come out to a packed auditorium not only inspired future filmmakers, but established ones of the time, too. Pennebaker mentioned that when Maysles showed the moment to a member of the Hollywood elite, Elia Kazan, “he went crazy when he saw Al’s [Maysles] shot. He said, ‘How can I do that?’ I said, ‘You can do that by hiring Al! Maybe get a wide-lens?! '” That shot ended up being influencing not only fictionalized filmmaking, but political punditry too. 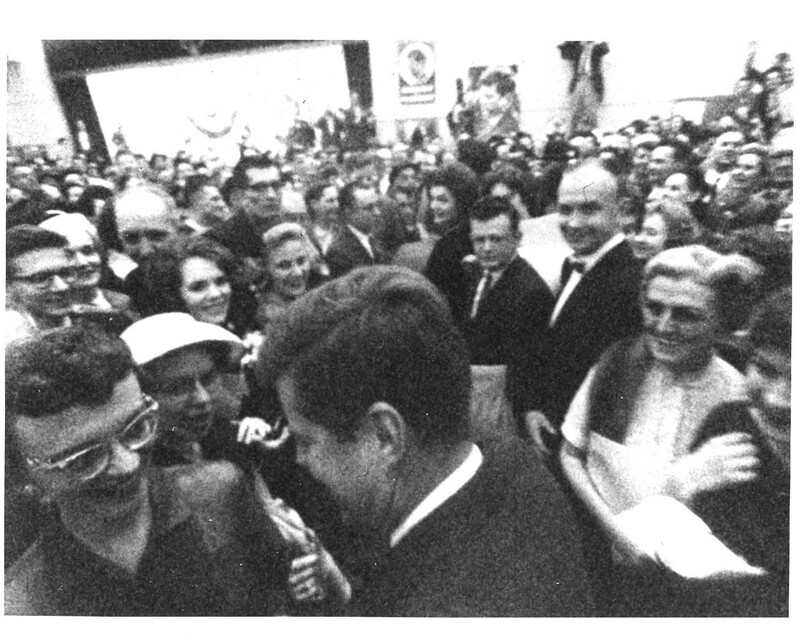 “The very long shot as JFK is walking in is a staple today of any campaign film you will see,” proclaimed Jill Drew. Filming events as they happened tended to be a headache before the age of synchronized sound. Spool after spool of film had to be followed by tape after tape of sound, leading to enormous logistical headaches when trying to capture things as they happened. But the new style of documentary that was beginning to take hold in Drew’s work could not settle for that. They needed synchronized sound to truly capture the events as they unfolded, unadulterated and natural. “An eight person crew needed for any shoot suddenly became a two person crew. Now they could pick up the camera and follow someone as they walked,” leading to the infamous JFK tracking shot, as well as the numerous exchanges that Hubert Humphrey had with his aides, his wife, and his supporters. This lack of invasiveness allowed Pennebaker and Maysles to slink around in the background, unnoticed, capturing the lives of both JFK and Humphrey as they happened on the campaign trail with little to no interference. In today’s day and age, if a politician does not know how to use a camera to his favor, then he is a goner. That audiovisual importance in politics really came to be around the time that “Primary” was being made, showcasing JFK’s innate ability to play to the camera’s abilities, all to make him look more handsome, caring, and gentle, but at the same time strong, charismatic, and boisterous. “This is the first time somebody ran a campaign like this,” said Criterion president Peter Becker. “We’re used to seeing primary season as a television event” continued Becker. 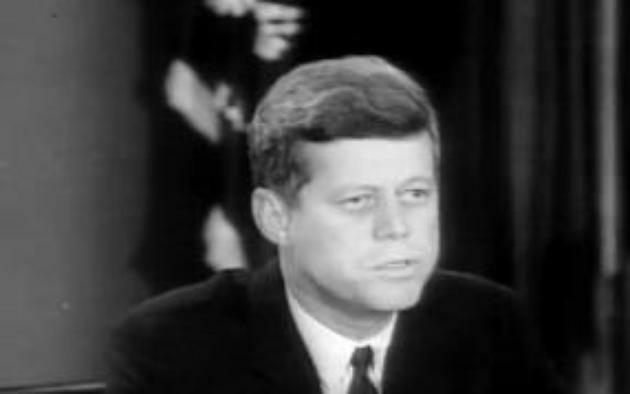 JFK is often cited as being one of the first presidents to use television debates to his advantage, while “[Humphrey] just is oblivious to the filmmaking. The Kennedys are somewhat, but they’re still self-conscious. Humphrey so doesn’t match the moment of this new kind of documentary filmmaking” said Frank Rich. “There’s a native presence that the Kennedys have. They’re comfortable with the camera” added Becker. When talking about Drew’s other film, “Crisis,” which chronicled the desegregation of the University of Alabama, it was clear that two distinct parties were emerging: Bobby Kennedy and George Wallace, both of whom were being captured on film by the cinéma vérité elites, Richard Leacock and Pennebaker. “It was both sides of the war,” joked Pennebaker when discussing their assignment to Kennedy and Wallace. “Which is what I knew I could do if you had a portable camera and could do dialogue,” he added, revealing that that sense of character dichotomy is what made films accessible and interesting. “You had a film where you were covering an event — really covering it. From every side of it,” Pennebaker continued, noting that there are characters and thus two sides to every sort of dilemma, particularly in such a charged crisis that was shaking America at the time. “Obviously it sets up what is a potentially abstract conflict as one between two distinct characters that we feel something about. Which carries through in all the storytelling. it keeps it from being a film about political issue and about the people who are involved in this crisis.” concluded Becker, suggesting that there is a story that could be found anywhere. You just need the right kind of filmmakers to find it and capture it. While cinéma vérité prides itself on not adding or taking away from what is captured on film, there is a responsibility allocated to the filmmaker to find the characters, the story, and exactly will happen next. On paper, a primary election sounds somewhat dry and boring. “One thing about primaries — there were very few of them,” noted Frank Rich. “We’ve turned it this into this onslaught of dozens of primaries and this continuing television soap opera. There were only a handful of primaries in 1960. It was a relatively new deal,” added Rich. So perhaps it was due to Drew and his associates that the primary races had turned into what they are today, with so much eye-popping information and colors on screen that it’s hard to even focus on what actually matters: the politics.